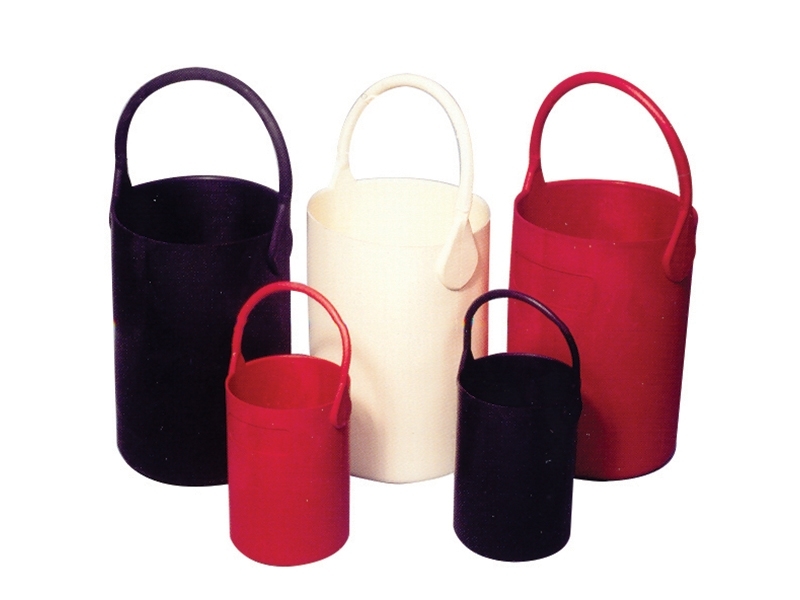 Safety Bottle Tote Carriers for Laboratory Acid and Solvent Bottles are made from unique, high performance, thermoplastic elastomer with excellent tensile strength. Precision-molded to assure uniform appearance and quality with the handle molded as part of carrier. The centering ring in the base holds bottle to assure clearance from wall and features a recessed marking area at top outer side of carrier. Carry liquids and ice without sweating; resists bacteria and fungi growth. Can be used from -45 C to +110 C and steam sterilizable. Resists oxidation in prolonged atmospheric exposure and resists most aqueous solutions, acids, bases. Please note: Manufacturer’s lead time may apply. Please click on item # to view details.